It’s no question that having a water well is a worthwhile investment. Not only can you enjoy a reliable supply of water, but you also have an independent water supply that you control. You can make sure that the water you drink contains only the things that you find acceptable. No unwanted chemicals or treatments that you may not agree with. In order to keep enjoying these benefits, you need to take care of your water well system. Just like a car, regular maintenance will make sure that it stays in good operating condition for years upon years. But a water well is definitely more important than your car. After all, it’s responsible for providing your drinking water. You can’t afford any breakdowns that can affect the quality of the water that flows through it. To help prevent problems, here are a few tips to make your water well last. You can’t identify a problem if you’re not familiar with how things look like when they’re normal. A basic understanding of the standard operation of your water well system is necessary to help owners notice if something might be off. From changes in the water pressure that you’re used to seeing to unusual sounds that weren’t present before, signs like these can indicate potential issues. If caught early, it can help prevent costly repairs and interruptions to your water supply. Be observant when using your water and you’ll start to notice changes that you may want to have looked at to make sure nothing’s wrong. Going back to the car analogy, you don’t have to wait for your vehicle to break down before taking it to the shop. It can be for an oil change or replacing worn out components but preventive maintenance is a necessary activity for any car owner. The same can be said for water well owners, too. Some of the components of a water well system can also be worn out over time. If left alone, it will definitely affect its performance and safety. Be sure to keep up with the recommended maintenance schedule for your system to avoid these problems. If you’re thinking that preventive maintenance will be a waste of money, then perhaps think again. The money that you think you save in the short term can come back to haunt you in terms of repair costs and possibly even medical costs. 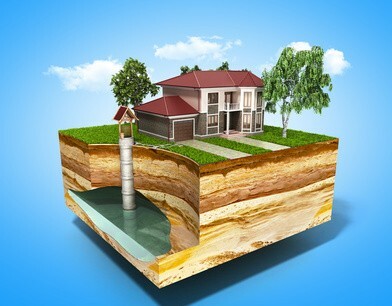 Speaking of trying to save money, attempting to fix a water well on your own can be another costly mistake. It’s a specialized system that takes someone with the right knowledge and skills to properly service. What usually happens when a well owner attempts to work on the system themselves, without the proper tools, training, and expertise, is that they misdiagnose the problem and they end up making it worse. When that happens, they end up calling in a water well expert anyway. I Need Help Servicing My Water Well in St. Clair, Michigan! Why not just skip the part where you can potentially make more trouble than needed? 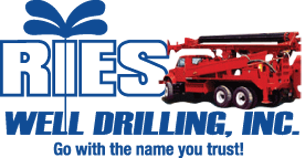 If you need your water well in St. Clair, MI serviced, Ries Well Drilling is happy to help. With over three decades of commitment, we’ll make sure your water well is always in good shape. Give us a call today at 586-784-9516.